Dental Implants are the standard of care for tooth replacement. Whether a tooth is lost from trauma, gum disease, decay, or failed root canal, replacing the missing tooth is advisable from a health standpoint, as well as from a confidence standpoint. If a tooth is not replaced, atrophy (withering) of the bone can ensue as well as movement and weakening of other teeth. Two of our team members, Dr. Lee Gause, and Dr. Len Schwartzbaum are Clinical Professors at NYU University in the Implant Division of the Continuing Ed Clinic at the dental school. Their responsibilities include teaching dentists to surgically place, restore, and manage dental implants. Teaching other dentists about this procedure, forces our staff to attend CE, remain current, and demonstrate clinical success day after day. 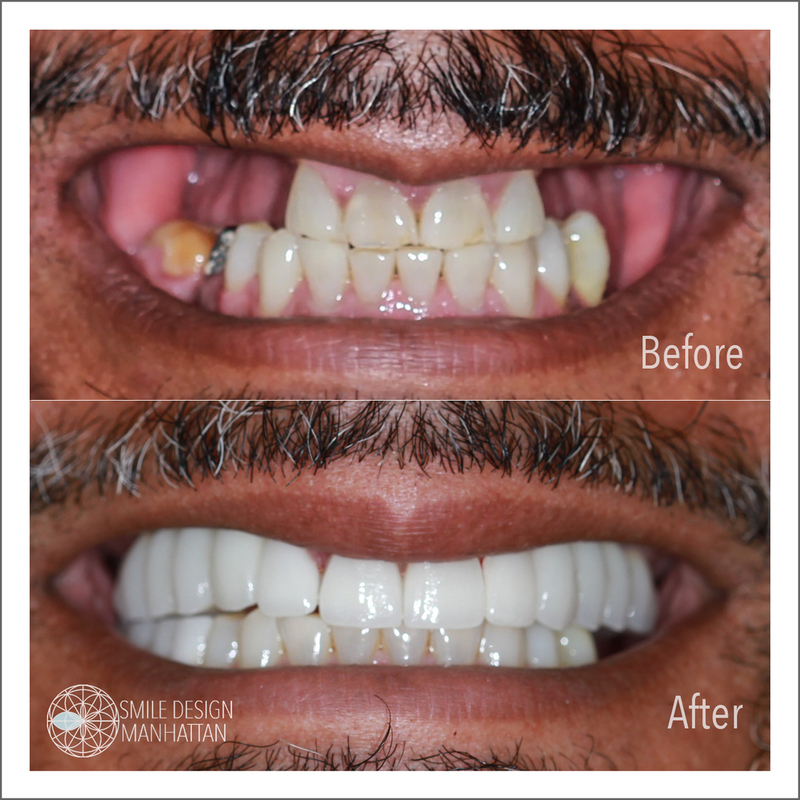 We have placed over 2000 dental implants at Smile Design Manhattan and have maintained many happy patients in the practice since we introduced implants into the practice in 2007. An initial appointment to see if you are a candidate for implant dentistry is free and requires an examination, x-rays, and a consultation.